How to Recover Lost Files from HTC Internal Memory? Home > Resources > HTC > How to Recover Lost Files from HTC Internal Memory? HTC mobile phone, as well as other mobile phones have two storage space: one is the internal memory and other other is the external SD card. 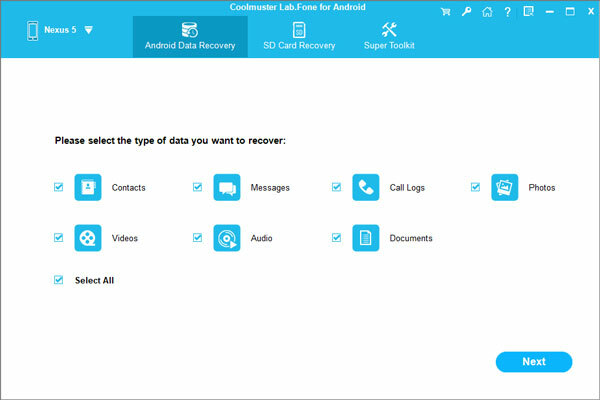 When you accidentally deleted files from the external SD card, you can take out the card and try to recover the lost data with a card data recovery tool. However, what if you lost precious files from your HTC internal memory? We know that internal memory doesn't mount like a an external memory. So, to recover lost files from HTC internal memory, you need to find a professional HTC data recovery program. 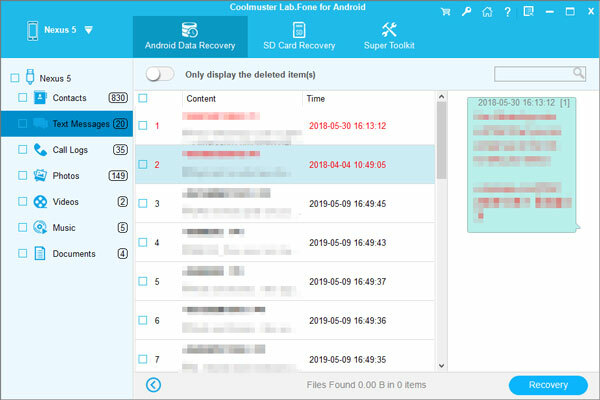 What you need is the Coolmuster Lab.Fone for Android, which is specially designed for Android users to recover the deleted and lost data, including music, photos, videos, contacts and text messages from overall mobile phones and tablets, as long as they are running Android OS. With its help, all lost files both in your HTC internal memory and external memory can be scanned out and you are able to get them back with original quality without any loss. Lab.Fone for Android supports all models of HTC phone, including HTC One M8/M9, HTC Desire HD, HTC Wildfire, HTC Hero and so forth. Just click the icons below to get it downloaded and installed on your computer. After downloading and installing the Lab.Fone for Android, launch it and connect your HTC phone to the computer via USB. Now, you should follow the steps below to enable USB debugging on your phone and root your HTC phone. On the left column, all the types of deleted files are listed. Just choose the "Contacts" and "Messages" folders to find the files you have deleted. All the deleted files will be shown on the right window. Preview and select the files you want to recover and then click the "Recover" button from the top line. Then, choose a location on your computer and save the recovered HTC internal memory files on the location instantly.